Education Research Day is an annual conference hosted by the Graduate School of Education that offers an opportunity for students to share work with their peers, faculty, and community members and engage in fruitful discussion about a range of issues in education research. The 17th annual conference will take place on Friday, April 14th, 2017 and include an opening plenary, afternoon keynote, and faculty-moderated paper and poster presentations, workshops, and interactive sessions. Education Research Day is a space for students to gain meaningful conference experience, learn from other young scholars, and network. GSE students are encouraged to submit work to present such as finished and in-progress research or non-empirical content. 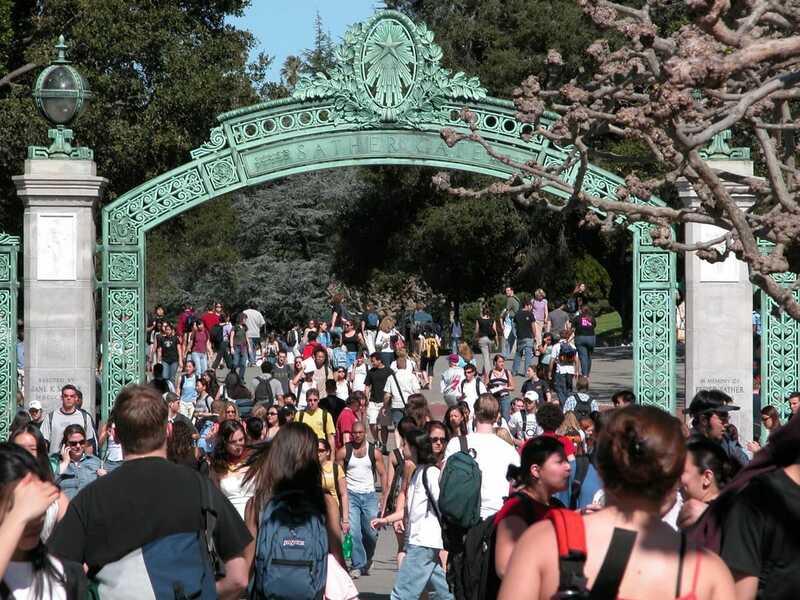 This student led event started 17 years ago to provide a space for Berkeley School of Education scholars to practice and prepare for the annual American Educational Research Association (AERA) conference. It was initially supported by funding from a decade-long Spencer Research Training Grant and organized by the Center for Integrated Studies of Teaching and Learning, or CISTL. Throughout the years, it has continued to be organized by ad hoc committees of students and faculty, with ongoing support by the office of the Dean. Consistent support from particular individuals, such as Andrew Galpern, has supported a lineage of student grass-roots development. 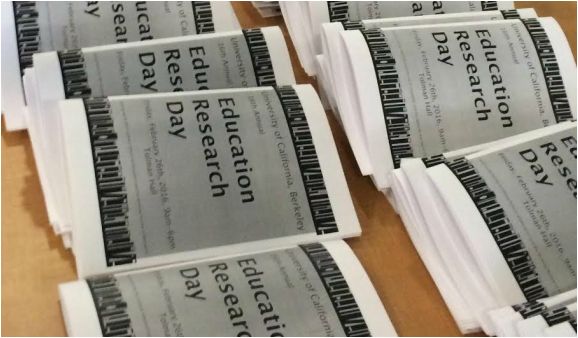 Between 2013 and 2015 the Berkeley Review of Education (BRE), the GSE's only student organization in those years, took a lead in organizing Research Day. Former Dean Judith Warren Little helped to organize the first "rehearsal" day in 1998 with a group of the CISTL Fellows. This became the foreground for our existing Research Day by 2000. She ensured that it would continue into the future by suggesting the GSE organize a student committee dedicated specifically to the event. A series of deanships has supported beginning with Gene Garcia, David Pearson, Judith Warren Little, Interim Dean Elliot Turiel and currently Dean Prudence Carter. Through this development, the Research Day Organizing Committee came into existence in the Fall of 2014 to formally organize and oversee the expanding conference.